Put a pep in your step with a refreshing, energizing, herbal powerhouse. Since ancient times, peppermint and other members of the mint family have been cultivated in Europe and Asia for their medicinal properties. Its cooling and soothing effects have been well documented, and peppermint essential oil is now included in many remedies to energize, relieve and stimulate the mind and body. Peppermint plants are herbaceous perennials (which means they don’t have a woody stem, and they can live for several years). The peppermint plant can be 30–90 cm (12–35 in) tall, and the dark green leaves can be 4–9 cm (1.6–3.5 in) long, and are usually slightly fuzzy, with reddish veins. Peppermint plants bloom in mid- to late-summer, and their purple flowers cluster in small, round orbs. The mint family, including peppermint, is indigenous to Europe and the Middle East, but is now cultivated around the world. The Japanese have grown mint for its menthol for at least 2000 years. The Greeks, Romans and Egyptians all knew and used mint, and likely used the variety we now know as peppermint, but botanists didn’t identify the specific variety we know as peppermint (a hybrid of watermint and spearmint) until the late 1600’s. Mint can grow in a wide variety of conditions, and, because it spreads through underground root runners, it can spread itself far and wide once planted. If you plant mint in your garden, be prepared for it to take over your lawn, unless it’s placed in a container. Peppermint is extremely tolerant of the cold, considered hardy to USDA Zone 3 (winters as cold as 40 degrees below). It prefers part shade, but can manage in full sun with frequent watering. Basically, it’s very hard to kill peppermint and the other members of the mint family. We are all familiar with the use of peppermint in candy, but peppermint flavour is also featured in the cuisines of many countries, in both sweet and savoury dishes. In Middle Eastern food, mint is often added to dishes like tabbouleh and fattoush, alongside other herbs like parsley. Peppermint is also used in Turkish and Greek cooking as a flavourful addition to kebabs and sauces. In India, peppermint can sometimes be found as an ingredient to chutneys, and in classic English cooking, mint is often served as a jelly to accompany a holiday feast. Peppermint leaves can be used either fresh or dried to prepare a delicious hot tea that is thought to help soothe the stomach. The tea is often also used cold to create an iced tea for summer weather. A classic drink in the Southern US is the mint julep, which is a large quantity of mint, crushed ice, sugar and bourbon. The Cuban cocktail with mint is called the mojito, which used rum and lots of fresh, squeezed lime to quench your thirst in hot climates. This zingy, herbaceous oil is included in essential oil blends that are designed to lift the mood and soothe the body. It has a distinctly cooling effect when applied to the skin, which is the effect of one of the primary constituents, menthol. All varieties of mint are thought to be cooling, and most are believed to act as a pacifying agent for all three doshas. It is especially beneficial for balancing pitta dosha. In traditional Chinese medicine, mint is associated with the lung and liver meridians, and is thought to have pungent, aromatic and cooling properties. Mint is used to expel wind and heat, clear the head and eyes, clear the skin, and remove qi stagnation. Peppermint and other varieties of mint are thought to be masculine, and are associated with the planet Venus and the element of air. Mint is mentioned many times in Greek mythology. Minthe was the name of a river nymph in the Cocytus River, one of the five rivers of the underworld. Hades, the god of the dead and king of the underworld, spotted Minthe on the river bank. He was about to seduce her when Persephone, his wife, caught them. Persephone transformed Minthe into mint, a plant that people would walk on. Hades altered the spell to give mint its sweet scent, so that when people walked across mint plants, they would smell how sweet Minthe had been. Mint is also mentioned in another myth about the importance of hospitality and a beautifully scented home. The story goes that two people visiting a strange village were greeted rudely: they weren’t offered food, drink or a place to stay. Two elderly people finally invited in the strangers for a meal. Before the meal, they wiped down there table with mint to clean it, and scent the air. The two strangers revealed themselves to be Zeus, king of all the gods, and his son Hermes. They turned the couple’s home into a temple, and made mint a symbol of hospitality. In the Victorian language of plants, mint symbolized virtue. From the mid-1600’s to the mid-1800’s, Herb Strewer was an official royal job. Herb strewers literally tossed handfuls of fragrant herbs, including mint, around the British royal chambers and during public ceremonies, to cut down on unpleasant smells. Pliny notes that the Greeks and Romans used mint in cooking and in making wine, and decorated their homes and tables with sprigs of mint. He also suggested wearing mint in a wreath around the head (wearing plant wreaths was the fashion) in order to stimulate the mind and soul. In Europe, mint was popular throughout the Middle Ages, and monks used it as a tooth polisher. Mint was mentioned as an herbal remedy in the Icelandic Pharmacopoeias as early as 1240 AD. 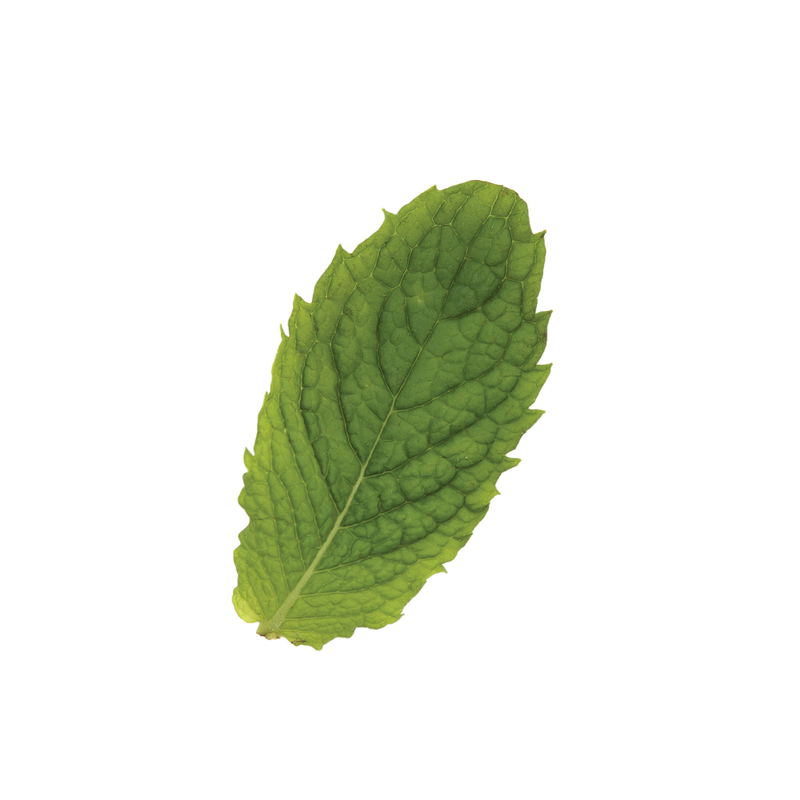 In the 1600’s, botanists began classifying plant types, including the many varieties of mint. Spearmint is milder and used primarily for cooking, while the stronger peppermint has more medicinal properties. Peppermint was noted as a remedy for treating everything from sores and venereal disease to colds and headaches. Early European settlers to North America brought peppermint plants with them. Native Americans were already using indigenous mint species for medicinal purposes.